Welcome to La Mesa Verde, a six story, six building complex in Jackson Heights spanning 90th and 91st with the buildings connected by sky bridges. Now under new management and undergoing a complete transformation to all apartments and the complex. 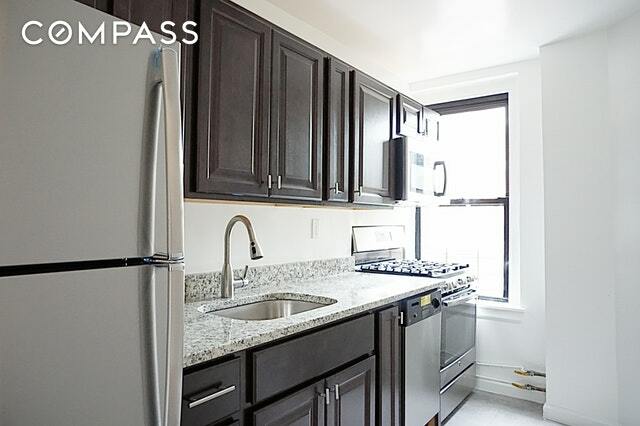 Step into this newly gut renovated one bedroom apartment with pre-war details on a beautiful tree lined block in Jackson Heights. The Separate kitchen has brand new stainless steel appliances including a dishwasher and microwave oven. There are high ceilings and beautiful hardwood floors throughout. Heat and hot water included in the rent. The building has an on-site super and a large laundry room. Please view the renderings in the listing of what the new hallways, sky bridges, and common areas will look like. Conveniently located near public transportation, shopping, supermarkets, restaurants, bars, cafes and all Jackson Heights has to offer.